This past Thursday our Coldwell Banker Beverly office celebrated the opening of our new office at 50 Dodge Street Beverly MA. It’s just a few doors down from our former office. We have been enjoying the brighter space and nicer reception and conference rooms. 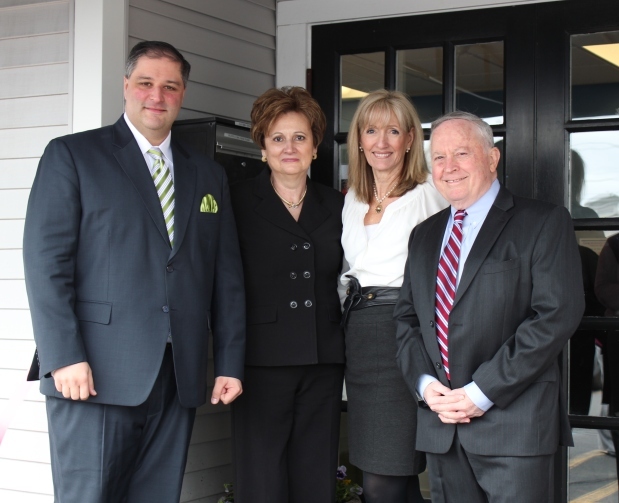 We were happy to have join us and participate in cutting the ribbon our Regional Vice President, Erminio Grasso, Coldwell Banker Residential Brokerage President, Pat Villani, and Beverly Mayor William Scanlon. Our manager Katharine Pickering hosted the event and Judy DiRubio our mortgage broker from NeMoves mortgage treated us all to a beautiful spring brunch catered by Henry’s Market. It was nice to pause in the middle of our busy work day to chat with our guests and meet some of our neighbors. Remember to like us on our facebook page!